Danfoss, a provider of heating, ventilation, air-conditioning and refrigeration (HVACR) solutions, recently organised a seminar in the UAE and Saudi Arabia to discuss harmonics, energy efficiency and the challenges and trends in variable frequency drives (VFDs). Held on October 9 and 10 in Riyadh and Dubai, respectively, the seminars shed light on key considerations for maximising VFD performance, achieving greater energy efficiency, minimising costs and achieving the highest return on investment. Gregers Geilager, the head of Next Generation Platform at Danfoss, led the session on harmonics mitigation, which centered on effective methods of reducing harmonic distortion to maximise potential energy savings. He also conducted the closing session, which zeroed in on key factors, standards and processes involved in specifying the appropriate VFDs for various applications and systems. Niko Honkonen, the product manager for Vacon 100, Danfoss, conducted the second session, which centered on the current trends in the business as regards efficient energy consumption and on global efficiency standards. Speaking on the sidelines of the successfully concluded seminars, John Conboy, the director of sales, marketing and services for drives, Danfoss Middle East and North Africa said: "We pride ourselves on providing the best technical support to our partners and customers, which we are able to offer through events such as the ones we just concluded. We have always been a trailblazer in the drives sector." "As such, the onus is upon us to recognise and address not only key technical issues but also larger concerns affecting our world today, such as energy efficiency and cost mitigation," he stated. 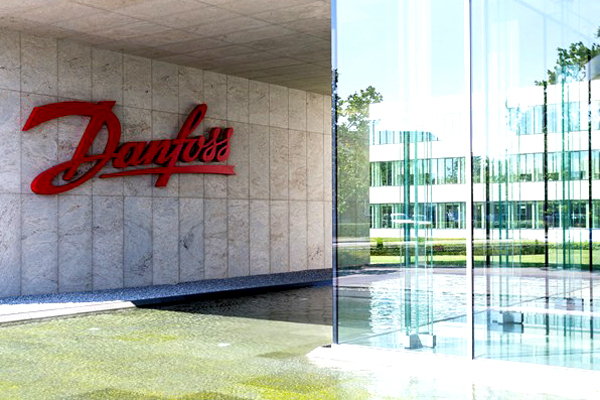 Conboy said: "This year, we are celebrating Danfoss’ 50th year in the drives business. This milestone was made possible by the commitment and dedication of our professionals around the world, and by the trust, support and collaboration from our partners and customers."